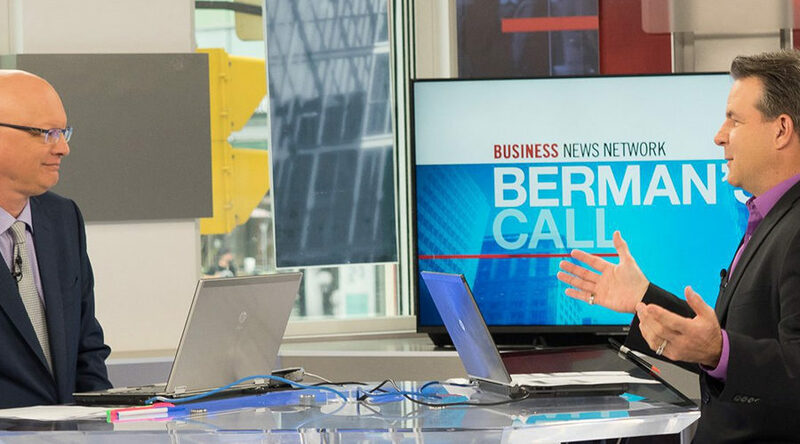 I’m quite excited this week to celebrate the 12th anniversary of Berman’s Call and in September, the 20th anniversary of BNN Bloomberg (ROBTV). Unfortunately, investors have not had that much to celebrate and the future does not look much better in some respects. Average returns (without fees) for the S&P 500 and for the entire US bond market have been a bit more than half of their long-term 100-year (10.45%, 8%) averages over the past 20 years. Historically, the 10-year forward return is only above 12% one third of the time and almost half the time (46%) it is below 8% over the past 100 years. So why has the average return been so low the past 20 years? Valuation! Our first chart shows that only very recently, have equities performed better than bonds over the past 20 years. Two massive equity bear markets have been to blame and there is likely another one coming. Bonds have a place in most portfolios despite the fact that most do not like the yield, but the best of higher historic bond returns are in the rear-view mirror. The yield to maturity (what we earn factoring in yield and price changes) of the entire world of fixed-income is about 2.5%, and that’s the best we are likely to see. And with equity valuations in the US at long-term extremes, history suggests the next decade (or longer) will offer up a return of about 5% or less. Over the past 20-years, the average return for US equities (no fees) was 5.83% and for bonds was 4.65%. Looking forward, a traditional 60:40 balanced portfolio will probably average about 3.5% in the US on a nominal basis. It will likely be less in Canada and slightly higher internationally, but not by much. That means that after say 2-3% inflation, your money’s purchasing power will not grow much at all. That will significantly hurt most retirement planning scenarios that typically look for closer to 7% with a “REAL (after inflation)” return of about 4%. In Canada, over the past 12 years, we got about 3% from bonds and 4.77% from equities. 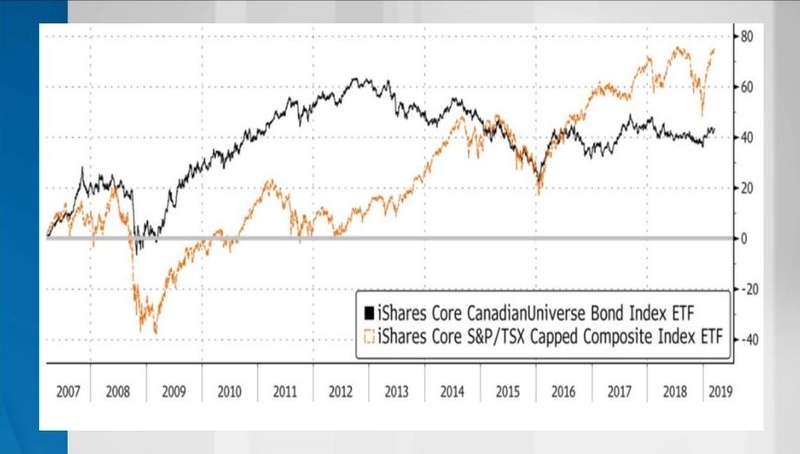 Since, 2011, the return on the broad Canadian bond market has been ZERO!. 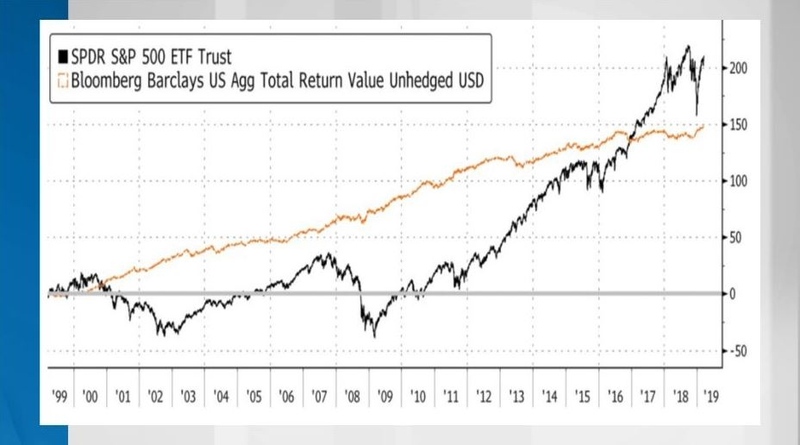 Sadly, we do not see these number improving, and while ETFs have made access to passive portfolios extremely easy and at a very low cost, passive portfolios for the next decade or two will not deliver much of a real return and growth to portfolios. I’ve long advocated to use passive ETFs for active asset allocation. We do this in our sleep-at-night portfolios. 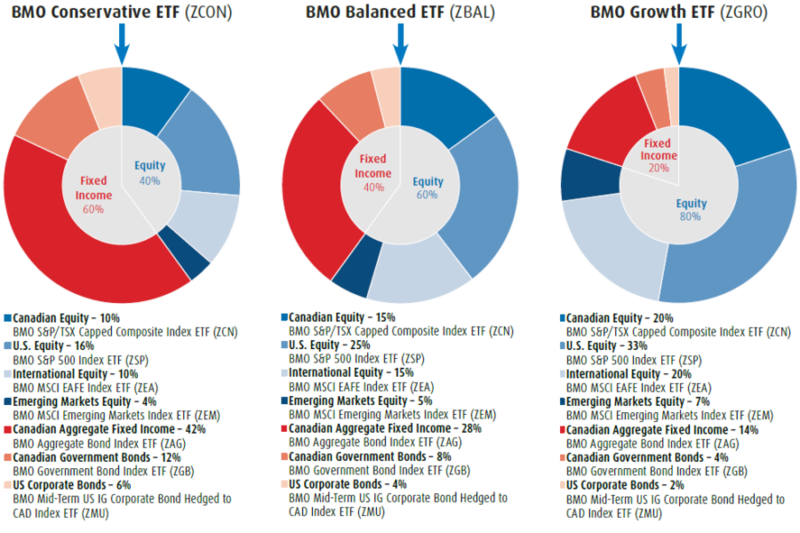 BMO recently launched 3 low cost (0.18 MER) passive asset allocation portfolios that rebalanced 4 times per year. These are even better than ROBO advisors in terms of costs. And while they are a bit too overweight exposure to Canada for my liking, they are great portfolios to improve your passive returns in the future. When you’re bullish, hold ZGRO and when you’re bearish hold ZCON. RBCiShares, Vanguard, and Horizons ETFs have similar ETF of ETF portfolios to help investors get a one stop low cost efficient portfolio. We featured the Vanguard version on the show last year. For many, these will be adequate, but won’t change the likelihood that passive returns will surely disappoint in the next 10-20 years. Come out to one of our remaining Berman’s Call events and learn how to take advantage of active asset allocation. The previous Investor’s Guide to Thriving tour wrapped up on December 1st 2018. Aptly named “How Long Can a Bull Market Run?” we may have received our answer. The market printed the worst December since the Great Depression – bringing most of the major indices officially into bear market (-20%+) territory. Markets have rebounded in January as they always do after steep declines, but we are likely in the early phases of a bear market where average corrections are closer to 30% and extreme corrections are more than 50%. If this is case, we haven’t seen the last of market volatility and a downward pattern of lower highs and lower lows. Many people are surprised at this phase because it can take some time for the fallout to move from Wall Street to Main Street – showing up as a recession. Job markets are relative robust still and Central Banks are still talking about raising rates. Markets are forward looking and generally anticipate economic downturns, so even as rates continue to rise, employment appears to be strong, and many companies are still posting record earnings – you should be paying attention to the growing cracks in the system. Larry will take the audience on a more detailed tour of past bear markets to see what we can learn about how this next one might compare. Will it be a gentle panda or a deadly grizzly? Can we hope for a soft landing due to aggressive government policy? How would we recognize a market bottom – when the next major bull market might begin? Why not go to cash or put all your money into a GIC right now? 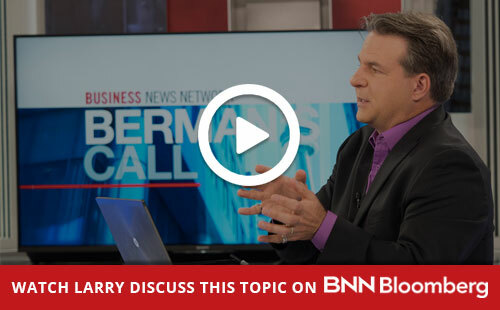 There are many questions to ask – and while (spoiler alert) we don’t have a crystal ball to give you the definitive answers, Larry can show you how to navigate a bear market so that you will use it as an opportunity rather than something to fear. 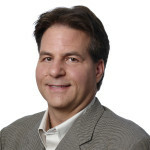 Using some of his favorite indicators and techniques, you will learn how to use a tactical approach to trading, and strategic asset allocation (including the use of gold, real assets, and other non-equity vehicles), to help keep your portfolio within your emotional comfort zone – while avoiding costly emotional mistakes. Success in difficult markets is both a science and an art, so Larry will also discuss the psychological aspect of managing portfolios under stressful conditions. 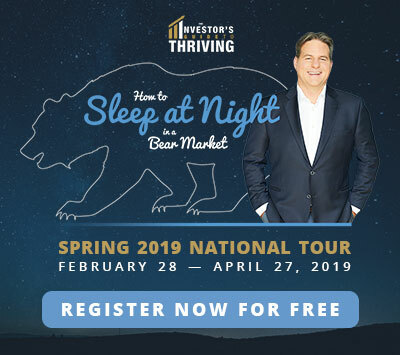 You will take away from this live presentation a timely perspective on how to approach your investments in 2019 and beyond – along with actionable ideas to help strengthen your portfolio, and even a few tools and resources to use at home. Click here to register for free and as always we ask for volunteer donations to one of our two favourite charities. Children’s cancer research at the Sick Kids Hospital and Alzheimer’s and dementia research at the Baycrest Hospital.